Air Explorer supports the best cloud servers and works with FTP, FTPS and SFTP accounts. 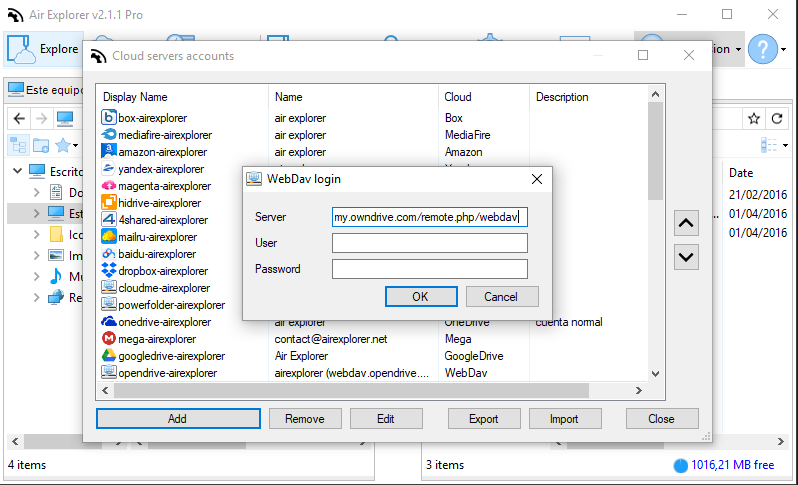 Moreover, you can add WebDav accounts in Air Explorer. If you have a Webdav account you can add it to Air Explorer easily. 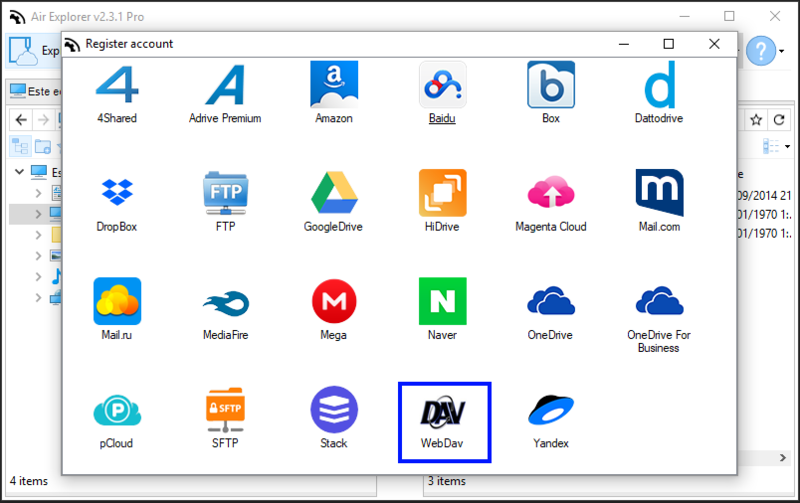 You only have to select the Webdav icon in the Accouns window and fill the gaps in the Webdav login window. You can synchronize between your webdav accounts and clouds or your computer. For example, you can transfer files from Drobox to Webdav. 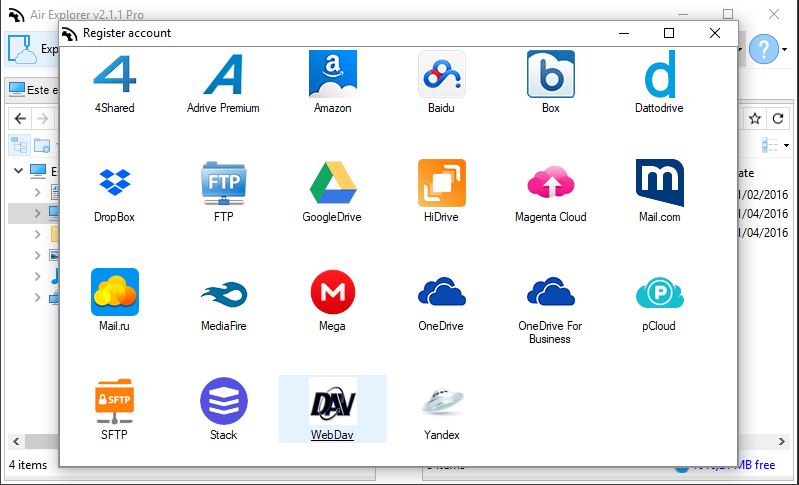 Air Explorer supports the best cloud servers: OneDrive, OneDrive for Business, Google Drive, Amazon Cloud Drive, 4shared, Box, Dropbox, Mega, Mediafire, Yandex, Baidu, Naver, Hidrive, pCloud, Mail.ru, Mail.com, Adrive, Magenta Cloud, Stack Storage and Datto Drive. 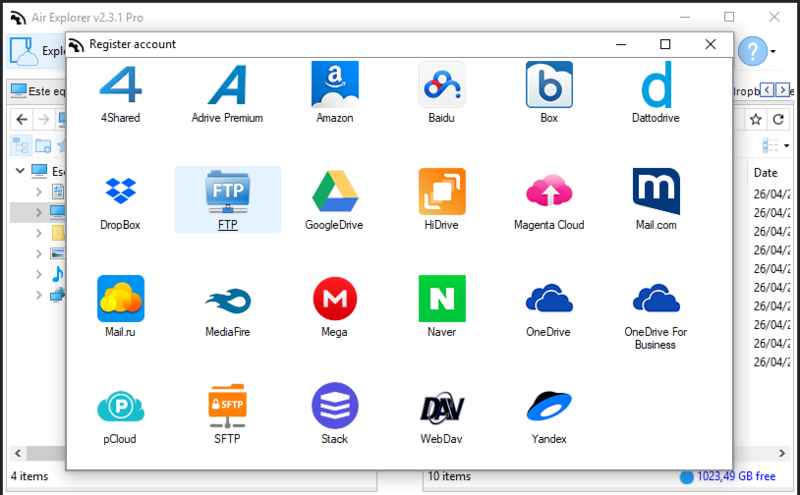 Moreover, Air Explorer works with FTP, FTPS and SFTP accounts. They are commly used to acces servers in Internet like web servers or WordPress installations. You can add these accounts like a cloud. 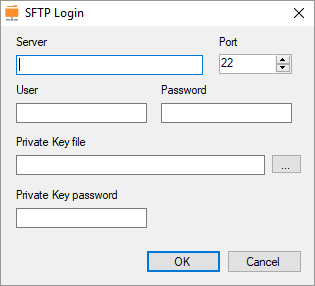 Open the add account panel and select the FTP or SFTP logo and fill the server, user, password,etc. 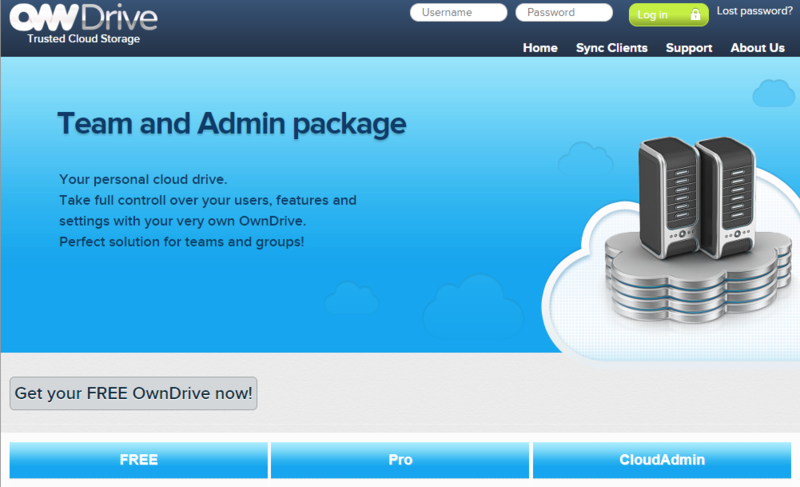 Owndrive is a cloud storage that give you 1GB of free storage. 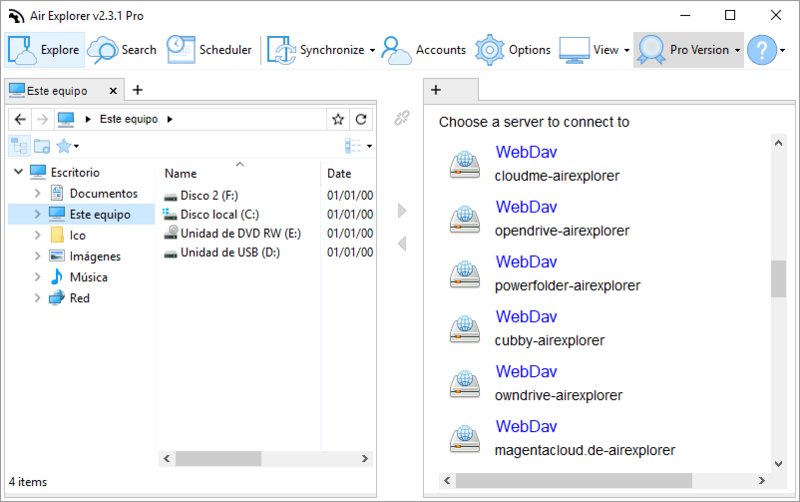 Since Owndrive can work with WebDav, you can include it in Air Explorer. 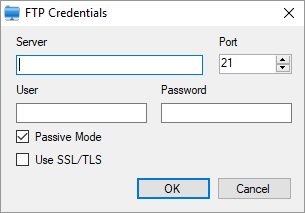 1-Enter in https://owndrive.com/ and click in “Sign up” to create a user and password. 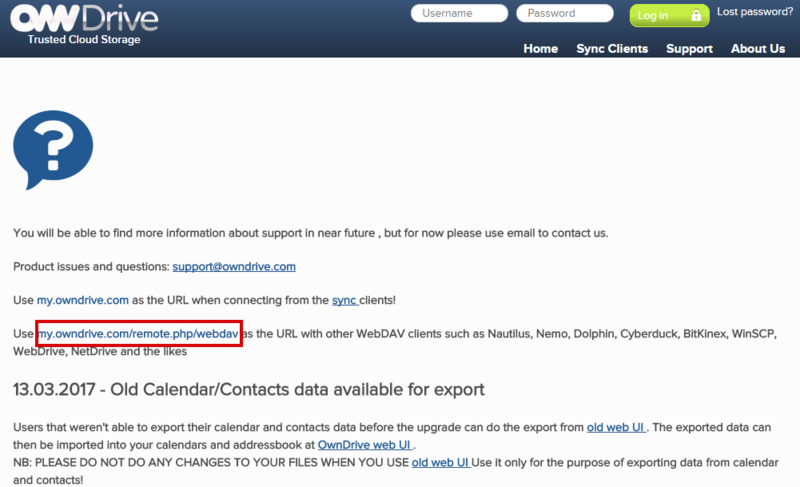 You can find the address to the Owndrive webdav in the OpenDrive web page. 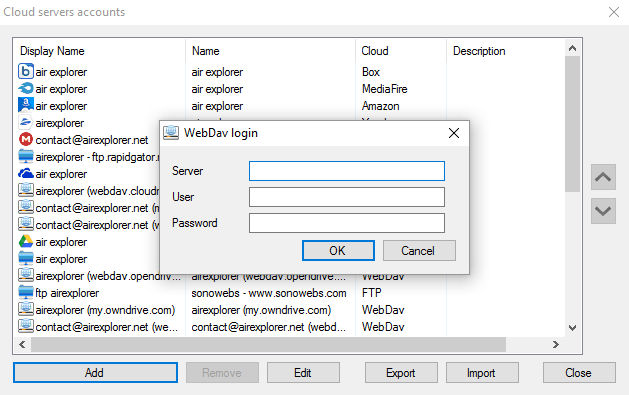 2-Open Air Explorer and open the accounts window and choose WEBDAV. 3- Then, a window with a form opens. Fill it with your user, password and the Owndrive WebDab server (my.owndrive.com/remote.php/webdav). 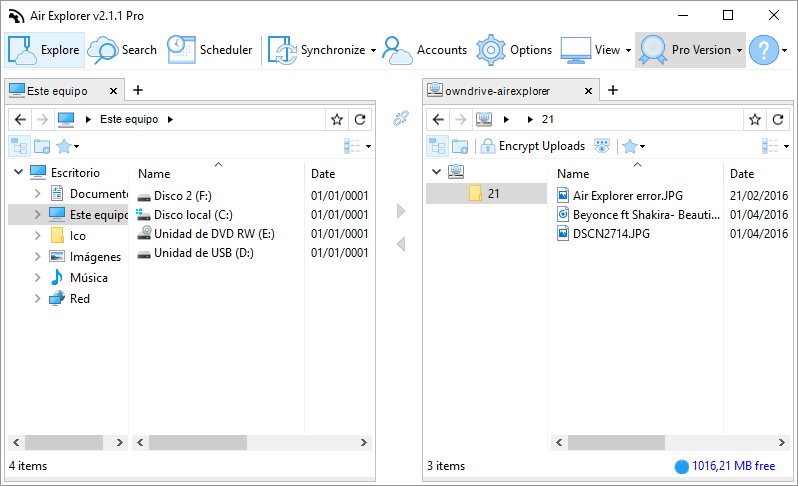 Now, you can use the Owndrive cloud in Air Explorer. -Support for Command Line (more info). -Faster start of upload folders, folders are created while uploading. -Faster start of transfer folders, folders are created while transferring and calculates the total size up to 8 times faster. -Faster start of download folders, analyze the folders now is up to 8x faster and folders are created while downloading. -Improved upload performance to Mediafire. -Auto refresh free space indicator each 10 MB uploaded if free space <1 GB or each 100 MB uploaded if free space > 1 GB. -Copied cloud files now can be pasted as text to get the full path of a file or folder (this text can be used easily later in the Air Explorer command line tool). -Fixed error showing logs window. -Fixed issue with some file names in WebDAV. -Fixed issue moving accounts up or down. -Fixed issue removing accounts with the same name. -Fixed issue importing accounts with the same name. -Fixed folder type in folder properties window. -Accounts window can now be resized. –Updated Russian translation (thanks to Timofey). -Updated Korean translation (thanks to JaeHyung).